The median single-family-home sales price went up 5.6 percent from January 2014 to January 2015 — $197,000 to $208,000. Condos and townhomes continue to gain a larger share of the market. Preliminary February figures show demand about to boom, with the number of homes under contract dramatically rising. 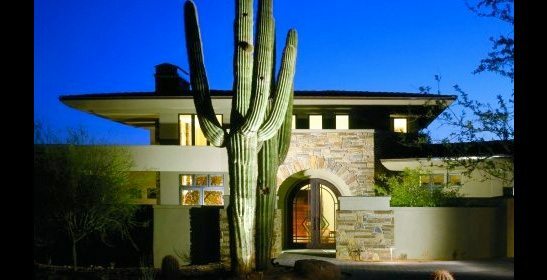 After the housing crash, Phoenix-area home prices quickly rose from September 2011 to summer 2013. Then, the median single-family home price went up about another 5.6 percent from last January to this January – from $197,000 to $208,000. Realtors will note the average price per square foot gained 5.1 percent. Condos and townhomes picked up even more momentum, with their median price up 11.6 percent – from $121,000 to $135,000. While single-family home sales activity dropped 7 percent from last January to this January, townhome and condo sales activity rose 6 percent. In fact, the amount of money spent on mid-range townhomes and condos was up an incredible 54 percent. Orr credits interest in easy-to-maintain homes. Despite the attached-home phenomenon, though, the Phoenix market experienced relatively weak home-sales activity both last year and in January. However, things finally appear ready to change. Orr notes that listings for non-distressed homes under contract in the Phoenix area were up 26 percent from last year on a typical day in February. Listings from $150,000 to $600,000 were up more than 30 percent. He attributes this largely to lenders starting to relax their tight loan-underwriting guidelines and “boomerang buyers” who went through foreclosure or short sale being able to come back into the market. Rental homes are also doing well. However, supply is an issue when it comes to all types of homes, including affordably priced rentals, which Orr says are at the lowest level he has seen in 14 years. Single-family home listings (excluding those under contract) were down 7 percent on Feb. 1 from the already depressed level at the same time last year. Don’t expect more supply to come from foreclosures. Completed foreclosures were down 43 percent from last January to this January. One last note: Orr says home builders aren’t enjoying 2015 much yet. In January, newly built single-family homes hit their lowest monthly sales total in three years. However, he expects that trend to reverse, too. Those wanting more Valley housing data can subscribe to Orr’s monthly reports at www.wpcarey.asu.edu/realtyreports. The premium site includes statistics, charts, graphs and the ability to focus in on specific aspects of the market. More analysis is also available at the W. P. Carey School of Business “Research and Ideas” website at http://research.wpcarey.asu.edu.